19 children and 12 women were among those killed in the raids. Beirut: At least 42 civilians were killed on Monday in a barrage of US-led air strikes on ISIS territory in the Syrian city of Raqa, a monitor said. 19 children and 12 women were among those killed in the raids, which hit several neighbourhoods in the northern city, the Syrian Observatory for Human Rights told AFP on Tuesday. 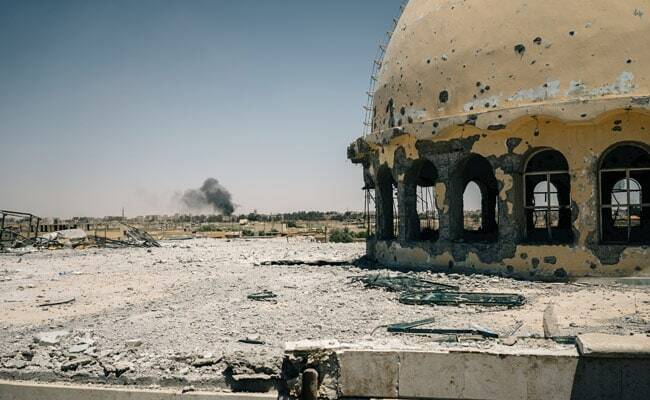 The number of deaths marked the second consecutive day of ferocious bombardment on Raqa, more than half of which has been captured by the US-backed Syrian Democratic Forces battling ISIS.